An attorney for Trump, Jay Sekulow said Wednesday on his radio show that the FBI did an unprecedented reversal of the FOIA request of the Clinton-Lynch tarmac docs only because they were caught in a lie. TGP reported late Tuesday evening that the FBI re-opened the case into the Clinton-Lynch tarmac meeting. “The ACLJ is reporting that the FBI is reopening its FOIA request into the Clinton-Lynch tarmac meeting… More at 10pm #Hannity,” tweeted Sean Hannity. 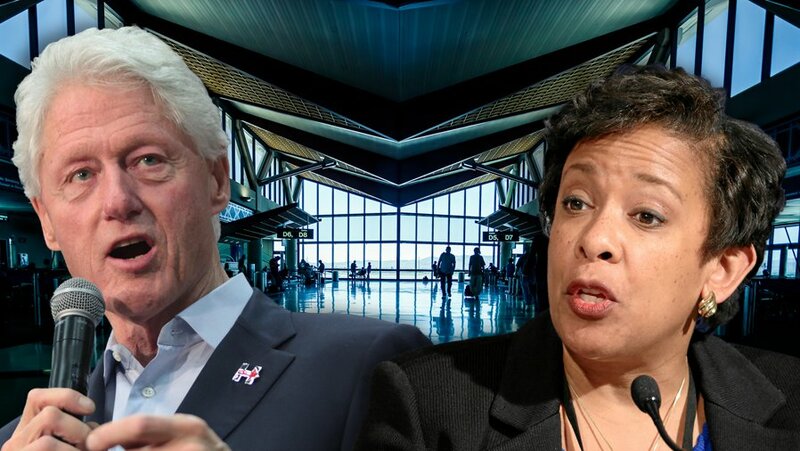 On Monday, the ACLJ announced it submitted FOIA-obtained documents regarding the Clinton-Lynch tarmac meeting to the Senate Judiciary Committee. “Unprecedented move, the FBI, after denying that the documents existed with regard to the conversation between Loretta Lynch and Bill Clinton that took place on that tarmac in Phoenix–the FBI reverses itself,” Sekulow began. “Why did they reverse themselves? Quite simply. Because we got documents through a court order from the Department of Justice that there were in fact FBI documents that they denied exist….the FBI lied to us there’s no question about that,” Sekulow continued. The ACLJ’s office of government affairs director reiterated the FBI did not have a change of heart, they were caught in a lie and subsequently re-opened the case. The corruption in the FBI is astounding. It will take a very long time to restore the public’s confidence in this once well respected agency thanks to James Comey and other Obama cronies.